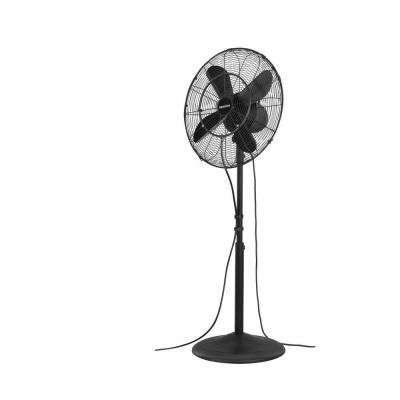 Totally assembled with built-in speed switch with 9′ cord attached. 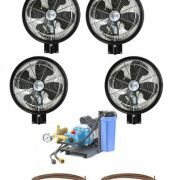 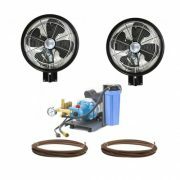 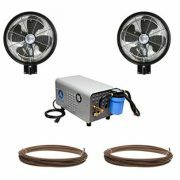 30” OSC Misting Fan Kit – High Pressure 1500 PSI Misting Pump – Stainless Steel Misting Ring – for Warehouse Cooling, Industrial Misting, Outdoor Restaurant Cooling. 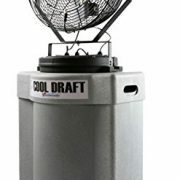 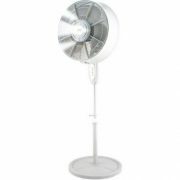 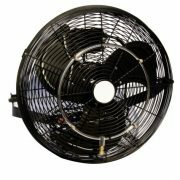 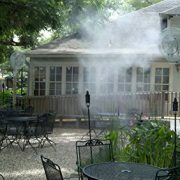 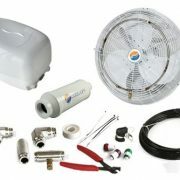 26″ Commercial Misting Fan is easily one of the most powerful portable misting fans on the market. 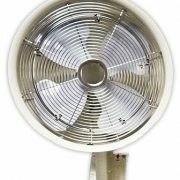 By combining a high pressure centrifugal misting system with a powerful blower fan, this misting fan offers unparalleled performance. 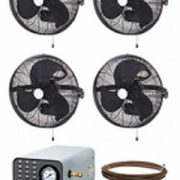 Heavy-gauge, anticorrosive metal construction makes this self-contained misting system ideal for commercial, industrial, agriculture and horticulture use. 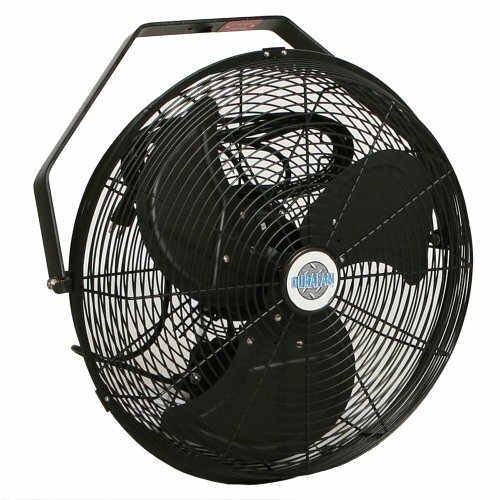 Featuring a veined grille and 54 watts of power, this fan is designed to provide improved high-velocity airflow. 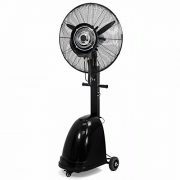 It also has a three-speed motor, so you can control the airflow safely and set it where you are most comfortable. 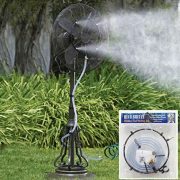 This misting fan provides 40,000 BTUs of cooling power. 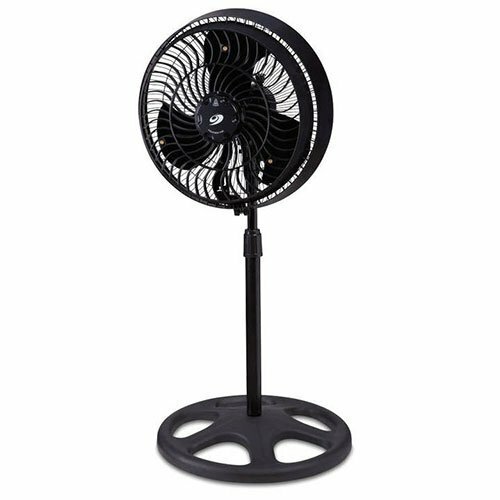 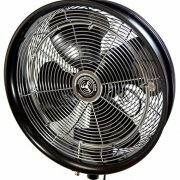 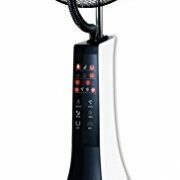 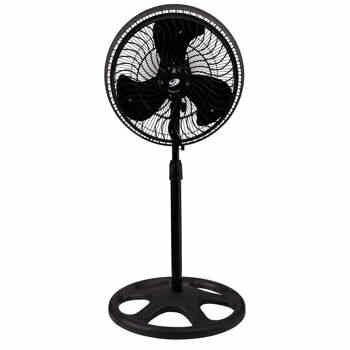 Other features of the 16″ oscillating fan include immersion shock protection, UV resistance, rust resistance, four nozzle misting hubs and a 54″ adjustable height. 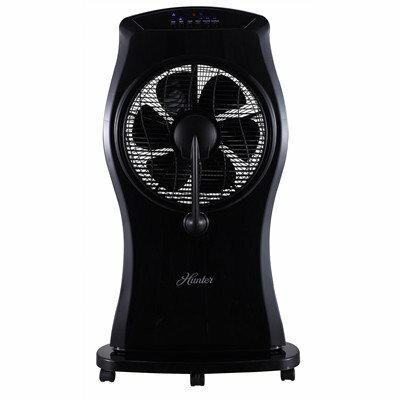 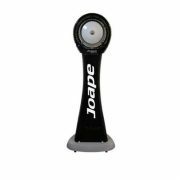 Technical specifications: 3 blades, 110V, 60Hz, 90W, tank capacity: 3.0 L.
Three levels of speed with an oscillating function – low, medium and high. 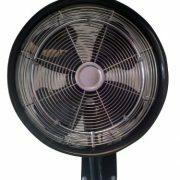 Three operating Modes can be selected on the unit or using the included remote Control – natural mode which simulates a natural Breeze mode, sleeping mode which simulates a soft Breeze suitable for night time use, and a normal mode. 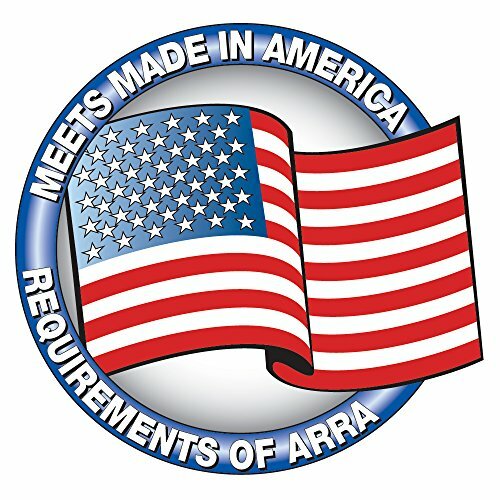 50′ of Nylon 11 tubing (White). 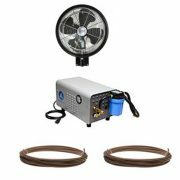 Tubing can be painted to match the color of walls if desired.